We offer a full range of painting and wallcovering services for your home and business, ranging from small decorating jobs to new construction and commercial projects. The color or décor of a room can change its atmosphere from dull to cheery, drab to welcoming, bright to relaxing. A fresh coat of paint or new wallpaper can make all the difference. We can paint one or all of the rooms in your home or business. 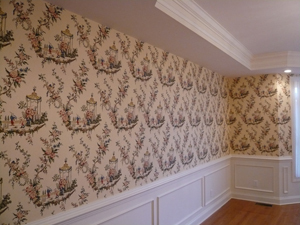 We can also install and remove a variety of wallcoverings. 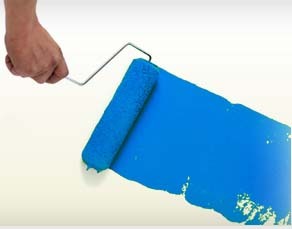 We can expertly paint the outside of your home quickly and efficiently. We choose our paint for its quality and longevity, and we take the time to prepare all surfaces so you’ll have a long-lasting, high-quality paint job. We take care to work around your schedule and needs when we’re painting either the interior or exterior of your home. We can help remove or apply any type of painting or finish you need in or on your home. With experience working in and on retail centers, office buildings, warehouses, and churches. Call us to learn more about our Commercial Services today!